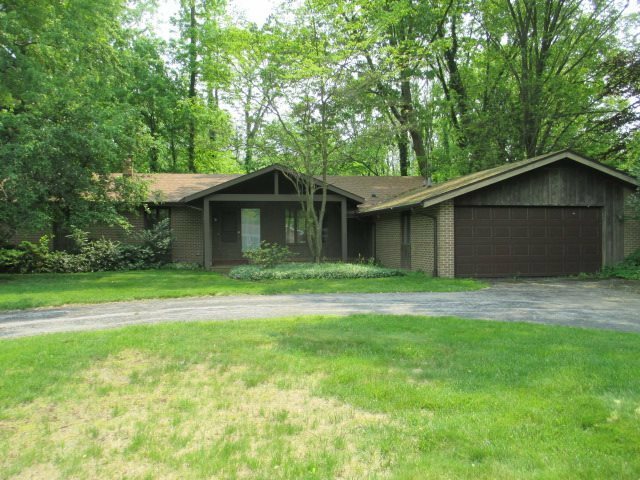 Long time owner offers this unique 2132 Sq Ft sprawling ranch home with walk out basement sitting on 1.45 acre lot overlooking gorgeous heavily wooded ravine. Features include huge 33x17 living room/dining combo with extensive glass sliders overlooking the rear 75 ft deck and ravine. There are 4 bedrooms, library, 2.5 baths and office with builtin bookshelves. The owners suite has full bath and double closets, kitchen has center island and cooktop, double pantry and abundant beveled glass cabinets. Large first flloor laundry with shelving. Furnace and A/C are approx. 3-4 years old. This home is one of a kind for the area.